The RX 350 F SPORT teams a 3.5-litre V6 engine with an eight-speed Electronically Controlled Transmission with intelligence (ECT-i) for an output of 270 horsepower at 6,200 rpm. Dual Variable Valve Timing with intelligence (VVT-i) is used to control both intake and exhaust camshafts independently; optimizing engine performance at many speeds and loads. The RX 350 F SPORT model features an electronically controlled Active Torque Control AWD system. Active Torque Control AWD uses an electronically controlled coupling ahead of the rear differential to vary torque distribution anywhere from 100:0 to 50:50 front to rear, depending on driving dynamics and road conditions. When accelerating, or starting off on a low-grip surface, torque is quickly provided to all four wheels. At steady speeds, torque is sent only to the front wheels, enhancing fuel efficiency. 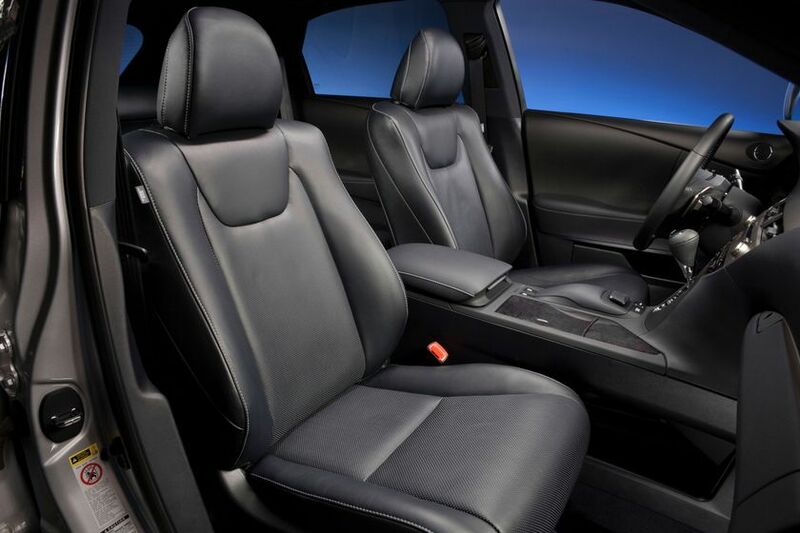 The RX F SPORT features a unique interior design treatment with perforated black leather-trimmed seats with white perforation holes. White contrast stitching accentuates the seats, center console and door armrests. A new Ebony Bird’s-eye Maple Wood trim adds a touch of sporty elegance. A black headliner, a perforated leather-wrapped steering wheel showcasing the “F” logo, and aluminum pedals complete the interior enhancements. 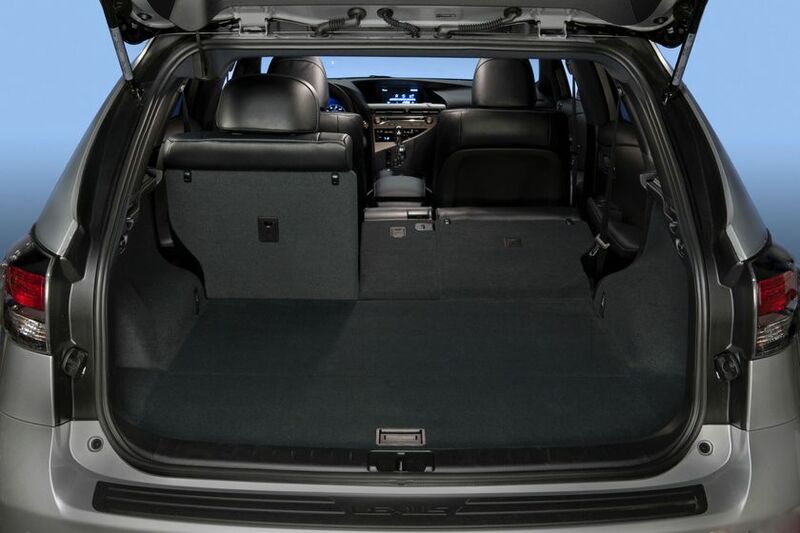 The RX F SPORT can accommodate a variety of music sources, providing auxiliary and USB inputs, Bluetooth Audio wireless connectivity and a standard integrated XM Satellite Radio receiver (90-day trial subscription included). Standard voice recognition and Bluetooth technology allow phone calls to be made and received once paired with a compatible smartphone. When an iPod is attached via the USB port, information such as artist name, track and album can be displayed on the available navigation or head unit, while the iPod can be controlled through the audio system. The large centre console storage box easily accommodates a variety of electronic devices while keeping wires out of sight. The available next generation Hard Disc Drive (HDD) navigation system eliminates the need for DVD map discs and offers a unique voice recognition system, which accepts casual-language inputs on certain functions. The system also includes automatic Bluetooth phonebook download. The system is controlled by a new, second generation Remote Touch Interface (RTI) that is more intuitive in its design and use. The Remote Touch allows the user to operate the climate, audio, phone controls, navigation system and more. The screen menus are selected with a controller conveniently located within easy reach on the center console. Remote Touch also reduces eye movement and helps users operate functions with reduced effort and distraction.